As a web designer, I’m a big believer in the power of a good website. I’m proud to help my clients achieve awesome results through their sites, like booking 30 new clients, boosting email opt-ins by 43%, and landing major speaking gigs. Hiring a designer isn’t the right fit for everyone. I want all of my clients to get a fantastic return on their investment, and the truth is not every business is in the right spot to do that. It might surprise you to hear, but I actually tell people this on sales calls all the time. I’m very upfront about it. Usually this conversation happens in a private setting, but today I wanted to share more openly. Here are 3 signs you shouldn’t hire a web designer… yet (and what to do instead). You know how babies outgrow their clothes almost immediately? The same applies to your first year of business. You’re learning a ton, getting your first clients, and growing every day. The second you think you’ve got things figured out, they change. Investing in a designer at this stage isn’t a smart use of your money. It’s a bit like buying a $10,000 romper for your 11-month old. No matter how adorable it looks, your baby is going to need a new one in a couple of months. If you create a simple online presence and then focus all your effort on getting clients and growing your revenue, you’ll be on your way to needing a web designer in no time. Clarity is the single most important ingredient to a successful website. Pro tip: if you’re looking to work with the best people, clarity is one of the most valuable things you can bring to the table. All the top service providers I know screen for it when interviewing clients. If you’re not 100% clear about the three things above, I recommend investing in a DIY course like Simple Site Blueprint instead of hiring a designer. Creating a new website is a big investment and you really do get what you pay for. Going for the cheapest designer out there often means a do-over and paying twice. That doesn’t mean you have to have to be swimming in an ocean of cash to have a beautiful site, though! Payment plans aren’t always listed online, but that shouldn’t stop you from asking. In my own business, I’ve broken really large projects down into as many as 12 payments. This makes life easier for my clients and provides recurring revenue for me. It’s a win-win! At the end of the day, you’ve got two options when it comes to your website: DIY or hire a designer. Pretty simple, right? If any of the signs we talked about in this post sound like you, I recommend that you DIY your site with the support of a proven step-by-step system, like Simple Site Blueprint. Then, you can hire a designer once you and your business are truly ready! Whether you’re planning to DIY your site or hire a designer, creating a website is a project with a lot of moving pieces. 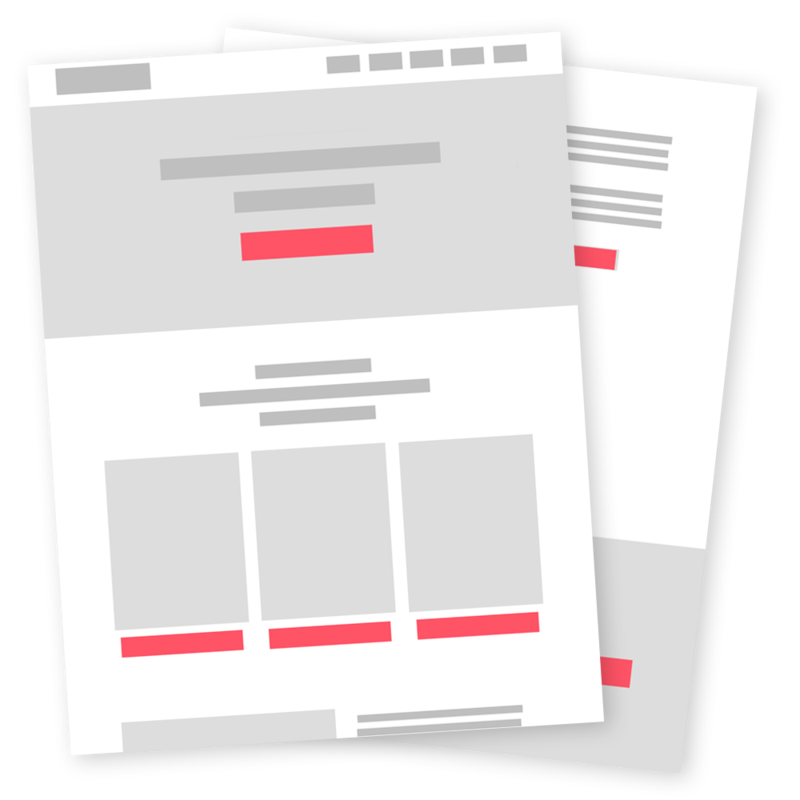 That’s why I’ve created a downloadable website launch framework for you.